Here's What Actress Sana Fakhar is upto in London, take a look. Here’s What Actress Sana Fakhar is upto in London, take a look. 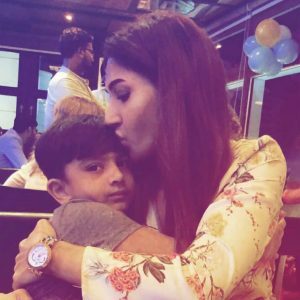 Sana Fakhar reportedly went to London for a vacation and the photos show that she really did not mind being caught while she is on a vacation with her little one. After making a dent with her recent performance Sana wanted to take some time out for her self and to spend some quality time she chooses London for a vacation with her younger one. However, it looks like the actor also had work on her appearance and her vacay style hooked us. Going by some recent photos shared on Sana’s Instagram pages, the actress is seen with shooting for commercials and covers. The actor, reportedly, shot for a somedays and then left for a vacation. Seep starrer Sana saw many successes this season, and the vacation looks worthy of all the hard work the actress did in these days and opt for holidays. After all, who says no to London when it comes to vacation, what do you think?